Presentation time for each paper is 15 minutes, plus 5 minutes for discussion. At the end of the session, we will wrap up with a short discussion. This session will be used to define and scope the domain of debugging in model-driven engineering and identify current and future challenges. Further, we’ll discuss how to grow the community and future plans such as (a) special journal issue(s), workshops, etc. 14:00 – 14:45 Discussion, deciding on set of topics and forming of groups. 14:45 – 15:30 Discussions in groups. 15:30 – 16:00 Coffee break. 16:00 – 16:45 Discussions in groups. 16:45 – 17:30 Discussion of results and wrap-up. The Vienna Development Method (VDM) is one of the most mature formal methods, with a history of cost-effective industrial deployment. One important reason for this has been the development of robust tools supporting the construction of models, their animation and the ability to debug such models. We trace the history of this strand of work from the mid-1990s to 2018. We describe six generations of VDM-related tools: the IFAD VDM Toolbox, VDMTools, Overture, Crescendo, Symphony and INTO-CPS. We investigate the move from a single-formalism tool focused on executable VDM specifications to a platform for multi-tool analysis of a wider range of models, to the growth of integrated multidisciplinary toolchains enabling co-simulation. The difference in ability for being able to debug different kinds of models depending upon the different technological choices underlying the different tools will be highlighted. 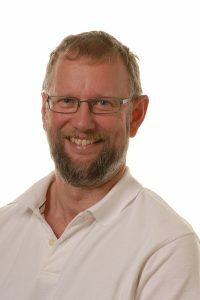 Peter Gorm Larsen is professor in the Department of Engineering at Aarhus University, where he both leads the software engineering research group as well as the Centre for Digitalisation, Big Data, and Data Analytics (DIGIT). In addition, he is the founder of a company called First Time Right Technologies. After receiving his M.Sc. in Electronic Engineering at the Technical University of Denmark in 1988, he worked in industry before returning to complete an industrial Ph.D. in 1995. In his industry career, as a development engineer and manager, he gave industrial courses all over the world, and saw the technology he developed be applied in areas as diverse as secure message processing and options trading. He returned to academia in 2005. His prime research goal now is to improve the development of complex mission-critical applications by implementing and applying well-founded technologies, in particular in the design of robust tools that help engineers to leverage models in early design stages to reduce overall product development risk in particular in the area of Cyber-Physical Systems. He is the author of more than 150 papers published in journals, books and conference proceedings, and several books and has an h-index at 30.